Happy Friday, dear readers! This week has flown by so quickly, and I'm looking forward to the weekend to catch up on my never-ending "to do" list. I've got several photos to go through and writing to do as well, so I'll be busy working on more blog content. As you already know, I had the opportunity to attend Polish Con in Chicago earlier this month. One of the vendors on site was Leah Ann Llarowe from Llarowe.com, and I happened to pick up the new upcoming Polish of the Month (POTM) for October at the end of the event. It is such a gorgeous colour, and because it will be available for purchase as a preorder tomorrow, I had to share it here beforehand. Let's check it out! 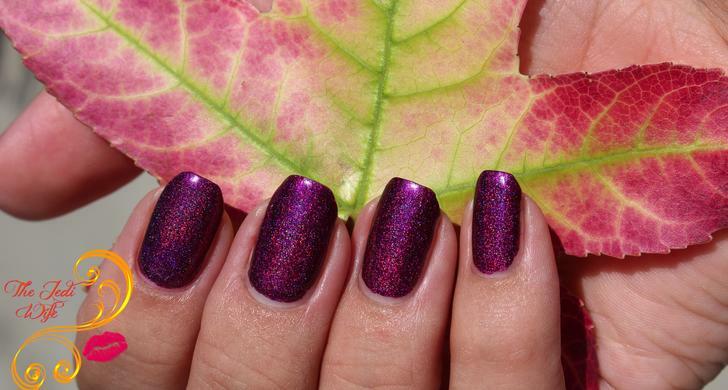 The Polish of the Month for October 2016 is called Fall is Calling. 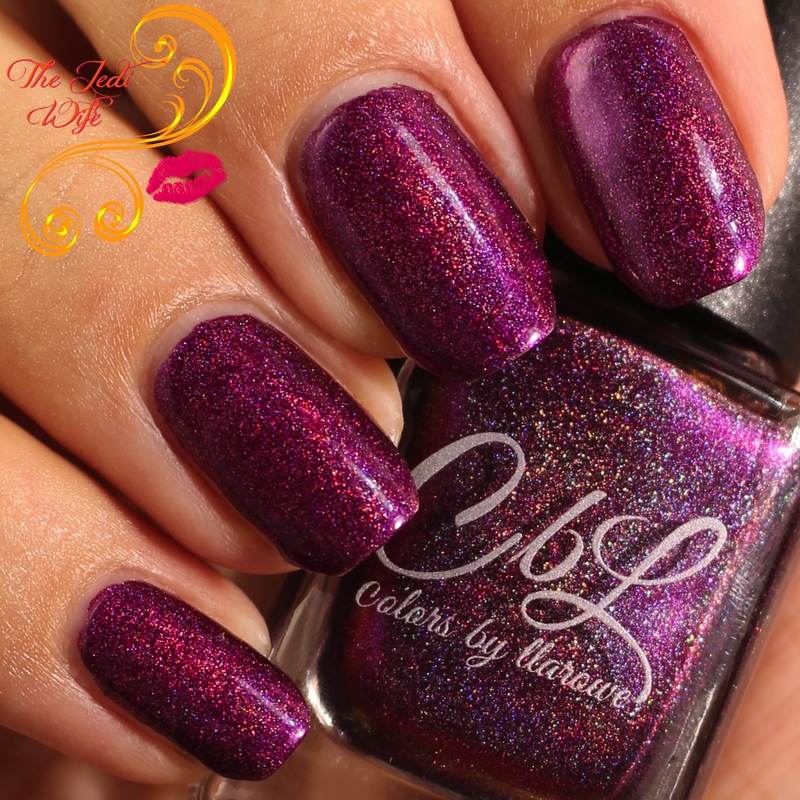 This polish is an reddened berry plum linear holo with a pink to gold shift. This polish dries to a high shine and offers complete coverage in one coat. It is Fall in a bottle! I totally defied the description and used two coats rather than one for these swatch photos. Bwahahahahaha! I'm such a villain! One coat actually did yield full coverage, but with the bright lights in my swatch area, I thought it best to add a second coat for photography purposes. Fall is Calling applied really nicely with just a few quick strokes of the brush on my nails. 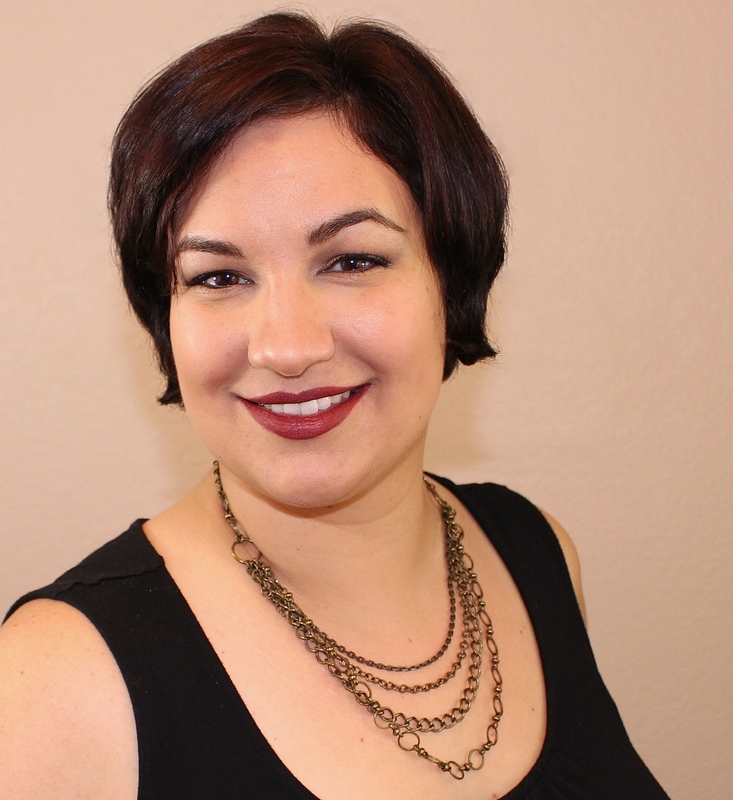 Like other Colors by Llarowe shades, the formula is on the thicker side, but it is still easy to work with. If you prefer thinner formulas, you'll want to add a few drops of nail polish thinner to the bottle. Fall is Calling will be available for pre-order at Llarowe.com here for 24 hours starting at 12pm Mountain Time October 1st through noon Mountain Time on October 2nd. Please note that this is the only time this shade will be available, so if this polish speaks to you, you need to order it during the 24 hour window; it will not be offered again at a later time. 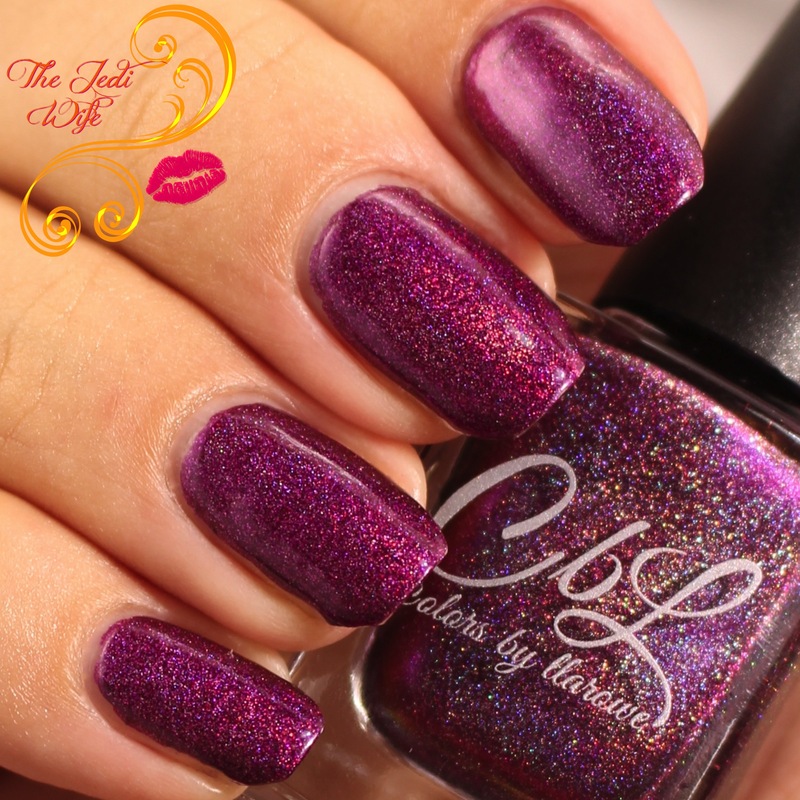 What do you think of the upcoming CbL Polish of the Month? Is it starting to feel like fall for you? I'd love to hear from you! Gorgeous on you! Thank you so much! Stunning color! I almost always pick up her POTM. That is one stunning polish! This is beautiful! I love the leaf, too. :) Nice swatch! This is such a gorgeous colour. I love saturated pinks for fall. Annnnd these are the photos that sold me on it. YUP. Incredibly beautiful, and perfect for fall! Amazing color. She does such beautiful polishes. I would love to see more Colors by Llarowe!